Subject: I WANT TO BUILD MY LOVE AND TRUST IN YOU. . I appreciate your response to my massage,How are you, hope all is well with you, I am glad to read from you today,Please accept my apology if my mode of contacting you will in any way offend you. I am Miss Cilene Omaro 24 years,daughter of , late Dr. Omaro Roland Joseph who was the financial benefactor and all throughout the civil war,under the leadership of president Laurent Gbagbo the formal president of Ivory Coasts and also He was chairman managing director of Omaro & Sons Industrial Company Ltd in the capital of my Country. Please I really like you to help and assist me out of my situation, My father in his blessed memory deposited the sum of US $3, 600, 000.00 (Three million six hundred thousand united states dollars)in one Bank with my name, as the next of kin/beneficiary before his death. Now i am in a refugee camp where i am presently seeking asylum under the United Nations High Commission for the Refugee here in Dakar, Republic of Senegal, with my father’s file which contains all the important documents for the money,with the reason escaping out of my Uncle,in his attempt to kill me as he hide away my international passport and other valuable traveling documents. In the light of the above, i shall appreciate an urgent message indicating your ability and willingness to handle this transaction sincerely, awaiting your urgent and positive response, Please do keep this only to yourself i beg you not to disclose it till i come over to be with you,, your phone number and your full address to me, so that i can know the person i am trusting my life with. For urgent purposes you can reach me through the cell phone (00221774068060) Reverend Father(Jonathan Kolo) who use to conduct morning prayer for us in the camp,tell him you want to speak to Miss Cilene Omaro in hostel 45. Subject: CONTACT THE BANK FOR CONFIRMATION AND POSSIBLE TRANSFER‏. . I stay in refugee camp here in Dakar Senegal and i will like you to help me. I thank you once again today.I will also like to see you face to face,i like you very much and i want you to know that before i contact you,it is the will of God that me and you to know each other and you are the type of man i am looking forward to spend the rest of my life with.I am not going to give your love to any other man,you will satisfy me,so needless of looking for another man. Please i have not told anyone except you about the existence of this money and i will like you to please keep it secret to other people because since it is (MONEY) all eyes will be on it and i am using the church computer to write you,Remember i trust you honey that is why i am giving you all this information' s.My love is for you and you alone,i will like to hear your voice please,just call the Rev and tell him that you want to speak with me and he will send for me immediately. You will have 20% of the total money helping me and the remaining money will be managed by you in any business of your choice. In this regards i will like you to contact the bank immediately with this information,tell them that you are my foreign partner and that you want to know the possibilities of assisting me transfer my 3.6 million dollars deposited by my late father of which i am the next of kin to your account in your country. Contact them now on how to transfer the 3.6 million dollars deposited by my late of which i am the next of kin.I have maped out 20% for your assistance and 5% for any expenses that might come up in this transfer. As i told you before,this camp is just like a prison and my prayers is to move out from here as soon as possible.Please make sure that you contact the bank so that after the transfer you can send some money from the money for me to prepare my traveling documents to meet with you in your country. for a better life. Subject: GO AHEAD AND CONTACT THE BANK. .
My darling i am still waiting to hear from you what you receive from the bank since i gave you all the information related to the money my father deposited in the bank in Scotland. Remember what i told you that i have once try to claim the money by my self but the bank ordered me to look for a partner since i live inside the refugee camp because it is against their rule of bank for someone living inside the asylum or refugee camp to claim money in their bank and that is why i demand your help. With the information i gave you i believe once you contact the bank they going to res pone to us because i have already inform them that i have got ting a partner and they are waiting to see your mail so that the bank will approve you as my partner/trustee to very money transfer. My darling i am waiting to hear a good news from you just go head and contact the bank immediately for confirmation and possible transfer. thanks i love you and i wait to hear from you have a nice day. Subject: OFFICIAL RESPONSE MONEY TRANSFER REQUIREMENTS. 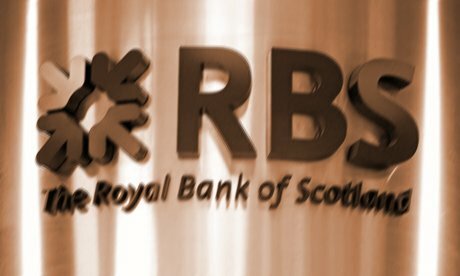 Royal Bank Of Scotland Plc Registered in Scotland No. 90312 Registered office:Forthstone,56 south Gyle Crescent Edinburgh EH12 9LE Regulated and authorized by the Financial Services Authority. 23-08-2012 . [ R.B.S ]Restricted use only. 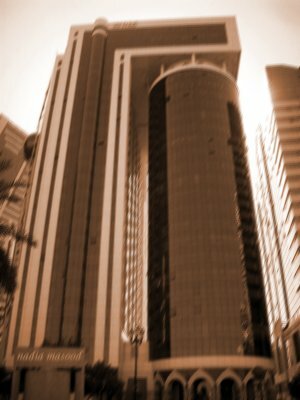 This document remains strictly and confidentially the property of the ROYAL BANKING GROUP PLC ( R.B.S ) and must not be transferred to any illicit owner. The recipient must confirm to this bank the receipt of this mail to enable us know that it got to the rightful person). Transfer to write you in respect to your mail which we have received. for the claim of her late father' s deposit with our bank. Late Dr. Omaro Roland Joseph is our customer with some substantial amount of money he deposited with us. Hence you have been really appointed as a trustee to represent the next of Kin. 2.The death certificate of late Dr. Omaro Roland Joseph l (Her deceased father)confirming his death. 3.A copy of statement of account issued to Omaro Roland Joseph by our bank. 4.An Affidavit of support from the Senegalese high court with her signature in it. 5.The birth certificates of the young lady Miss Omaro to confirm that she is the daughter of our late customer Omaro Joseph Note:The above are compulsory,and are needed to protect our interest,yours and the next of kin after the transfer has been made. THIS QUESTIONNAIRE IS AN OFFICIAL PROPERTY OF R.B.S. GROUP , IT IS HIGHLY CONFIDENTIAL AND IT IS ONLY ISSUED TO NEXT OF KIN TO DECEASED CUSTOMERS OF THIS BANK, PROVING THEIR GENUINE TOWARDS SUCH CLAIMS. ANY ALTERATION, CANCELLATION, WRONG INFORMATION OR MISTAKES MADE AS A RESULT OF FILLING THIS QUESTIONNAIRE WILL MAKE SUCH CLAIM INVALID AND NOT GENUINE. Subject: DARLING I THANK GOD WHO SEND YOU FOR MY HELP. Am very happy to read your mail now, and i have carefully read the bank email which contain requirement document needed before this transfer can be made. I am very glad for the way things is going on now, believing by the special grace of God we will finish this transaction soon, So that i can come over your country, where i will start up a new life and continue my study while you will use the money and invest it into any business of your choice. Like i told you before, i have with me the Statement of account of my late father, the death certificate and my birth certificate presently. But we are having a little problem which is the POWER OF ATTORNEY and AFFIDAVIT OF OATH, which the bank said it must be prepared by a Senegalese lawyer. power of attorney in your name and the affidavit from the high court. wonderful day,am waiting to hear from you soon! Subject: PLEASE CONTACT THE LAWYER ON HOW TO PREPARE THE POWER OF ATTORNEY. I thanks you for your ability to help me transfer my money to your position pending my arrival to meet with you,it shows you are a dependable and trust worthy person. Listen, before i gave you the information it is the will of God that me and you know each other,i have not told any body about this money the only people that knows about it is you and me no one again knows about it (since my parent' s are dead). God have said that this year will be a yea of financial rest,favors ,mercy and abundant resources to us, everything which seem to be impossible will be possible for us. Any place where there is no way , they must be way,The Eyes of Gd will be upon us ,He will cover us with his bare hand. This year we will not lack , there will no sorrows,there will no agony ,there will no death. I thought it' s the only thing the bank will need from us but since they need the power of attorney,i have informed the Reverend about it and he gave me the contact of the lawyer below,he is a registered lawyer in the United Nations Camp and also a registered member in (Senegalese Bar Association) who will help in preparing the documents for us. Please i will like you to contact him through email and phone today,when your contacting him, tell him that you are my Foreign partner and you want him to prepare a power of attorney in your name to enable the transfer of my (Late) father' s ACCOUNT in ROYAL BANK OF SCOTLAND PLC to the account in Your country. So, i will like you to contact him for the preparing of the power of attorney Please try and contact me when you are in contact with him and let me know if he agree to help us!. Please i will like you to first of all get the money transferred and from it you can send some money for me to prepare my documents for traveling to meet with you in your country for the rest of my life, thank you once again, and God bless you,the Rev father phone number that you will use to rich me once again 00221778591927. Subject: HELP ME CONTACT THE LAWYER FOR THE DOCUMENT. My love i want you to go ahead and help me contact the lawyer whom i gave you his contact to enable him prepare and validate the power of attorney in your name which will warrant the bank to transfer the total money into your account. Meanwhile my love i want you to see what you can do to help me quick because my condition here in the camp is not easy with me,therefore i am pleading you to help me contact the lawyer now and i will be happy to hear from you have a nice day. Subject: Please help me contact the lawyer. I want you to go ahead and help me contact the lawyer so that he will prepare and validate the power of attorney in your name. Remember that this document is the only thing that hinder the transaction and it is not god if we delay the provision of this document to the bank. Once you finish contact the lawyer try and update me and i will be happy to hear from you have a nice day. Subject: WE NEED YOUR PERSONAL INFORMATION/DATA. AND TO TRANSFER MONEY FROM ROYAL BANK OF SCOTLAND PLC TO YOUR ACCOUNT. THAT YOU SHOULD FORWARD TO THIS LAW FIRM IMMEDIATELY, YOUR FULL CONTACT DETAILS . 1. WE NEED YOUR FULL NAME. 3. WE NEED YOUR INTERNATIONAL PASSPORT NUMBER OR IDENTITY CARD. 4. YOUR COUNTRY OF ORIGIN. 5. WE NEED YOUR TELEPHONE NUMBER FOR EASY COMMUNICATION. 6. YOUR PROFESSION (I MEAN YOUR WORK OR BUSINESS). 7. YOUR DATE OF BIRTH. AS YOU WILL WANT THEM TO APPEAR IN THE POWER OF ATTORNEY AND THE AFFIDAVIT OF OATH. THEREAFTER, I WILL GO TO THE FEDERAL HIGH COURT HERE TO ASCERTAIN THE COST OF THE AUTHENTICATION OF THE POWER OF ATTORNEY AND THE AFFIDAVIT OF OATH BEFORE IT BECOMES VALID FOR THE TRANSFER OF THE MONEY TO YOUR ACCOUNT IN YOUR COUNTRY .